It is very full featured, with sliders that let you step through your gCode layer by layer, and also line by line within a layer. 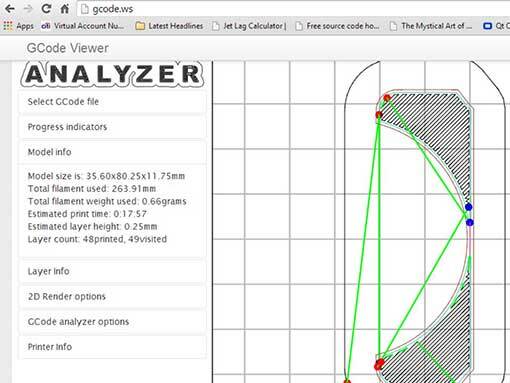 Additionally, it prints out a lot of useful statistics within your gCode. Unzip the archive, and simply launch index.html. I had security issues running it in Chrome, and it froze up in Internet Explorer, but Firefox runs it just fine. 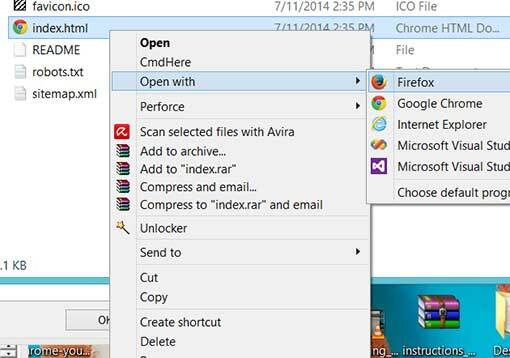 To run it in Chrome, you must launch it with the command line option “–allow-file-access-from-files” in order to lower the security so that it can access files locally, but it doesn’t work if you already have a running copy of Chrome. On Windows computers, if Firefox isn’t your default browser, you can just right-click index.html, and select Open with->Firefox. Many thanks to hudbrog for making this excellent tool.